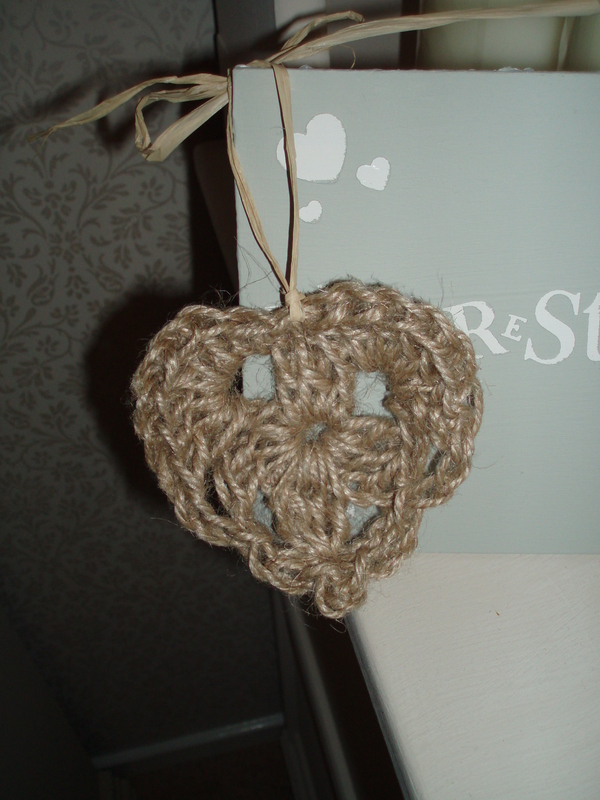 Thanks to Pinterest http://www.pinterest.com/ I found a really pretty crochet pattern that champygirl had posted on Crochetville http://www.crochetville.com/community/topic/125626-granny-heart-square-6×6-inches-2-images/. I am currently playing with producing a blanket from the pattern. It may be some time before I can post a picture of that however I thought I would share a heart that I made from a slightly revised version of the pattern. Thank you champygirl for sharing.